J. Kevin Collins is a co-founding partner of The Collins Law Firm, P.C. 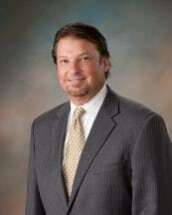 He focuses his practice on Criminal Law, Traffic Law including DUI defense, Family Law and Personal Injury. From counseling, negotiating and litigation, J. Kevin offers a wealth of knowledge and sound advice in addressing the individual needs of a client. In 1986, J. Kevin Collins graduated from James Madison University with a B.A. in marketing. From 1986 to 1989, J. Kevin worked in areas of investments, money management and personal finance. In 1989, J. Kevin enrolled in the University of Richmond T.C. Williams School of Law and graduated with his J.D. in 1992. In 1992, J. Kevin began his litigation career in the Portsmouth Public Defender's office and continued serving clients successfully in the law firm of Stallings and Richardson. In 1998, J. Kevin became co-founder of his own law firm and has been practicing and serving clients from the same location since that time. In 2009, he formed The Collins Law Firm, P.C. with his wife, Hollie Owen Collins, also an attorney and member of the Virginia State Bar. In 2011, The Collins Law Firm, P.C. opened its second office, located in Emporia, Virginia and hopes to continue expanding with the desire to counsel and assist new clients. J. Kevin is an active member of the Virginia State Bar, the Virginia Beach Bar Association, the Portsmouth Bar Association, and the Ambassador Club of Portsmouth. He has argued orally before the Supreme Court of Virginia and is licensed to practice in all State and Federal Courts in Virginia.